Last week, Lin (凛) announced that they would be releasing a new single before their second hiatus this year. Details for this single release, "Dedicate to Graveyard" have been announced in addition to the re-release of their live DVD, "Sacred Illusionism." To some, this second hiatus may come as no surprise. 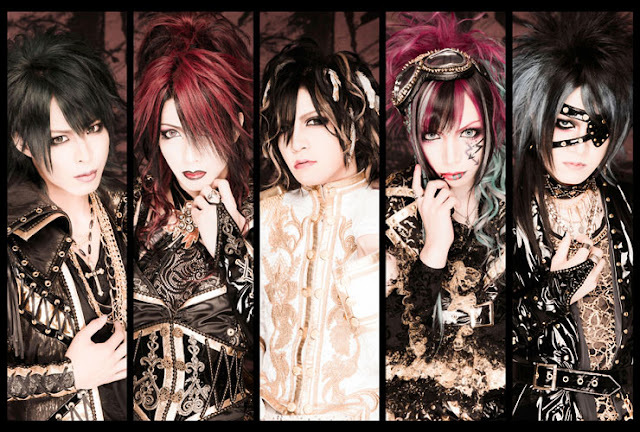 Although the style for the band embraces a classic visual kei sound, the band hasn't made it as big as would be expected. For the first hiatus, the band came back with an entirely new lineup of members, excluding their bassist. However, what will happen when the band returns, assuming that they return, is uncertain. Their next single, "Dedicate to Graveyard," will be released September 9th for 1500 yen. It will come CD only with 2 songs+ a recording. A bootleg live DVD will be included if the single is purchased through their official web shop. Lin will also be re-releasing "Sacred Illusionism" through Indie stores on September 9th for 5184 yen. The DVD will include scenes of their one-man live "Sacred illusionism" at Umeda AKASO on August 31st, 2014. CERO will hold his birthday presents live on December 1st at HOLIDAY OSAKA and SUI will hold his birthday presents live on January 24-25, 2014. Their own session bands will perform on these dates.